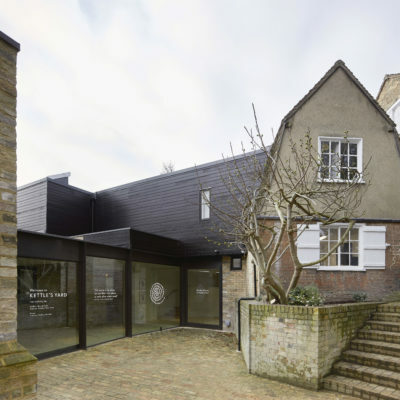 Kettle’s Yard welcomes all families to the House and galleries. 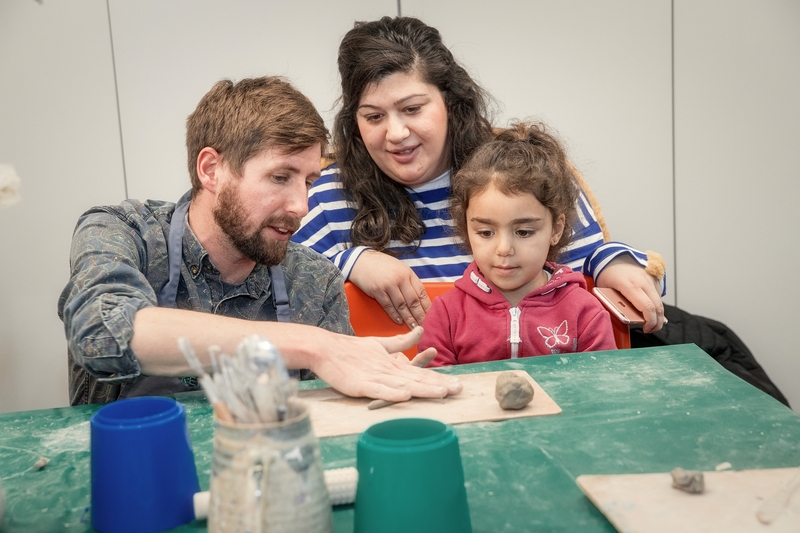 We offer a range of free and paid for activities for parents, carers and children of all ages. Please see our What’s On page to find out more about our upcoming programme. 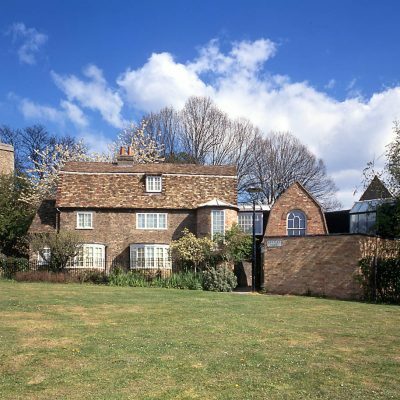 Kettle’s Yard is free for all visitors. We have free, timed entry tickets to the House. Children who are carried do not need a House ticket. Find out more about visiting the House here. 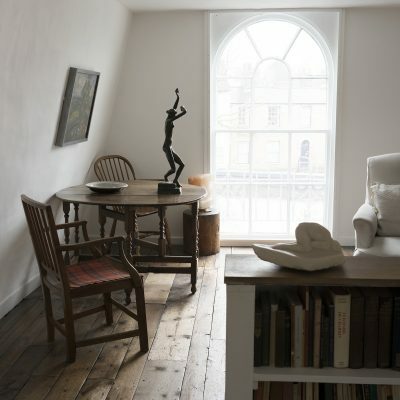 There is much to explore at Kettle’s Yard. 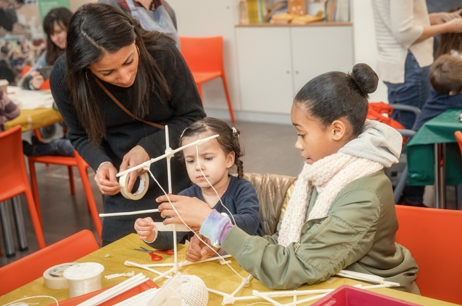 We offer several art activities to help you discover the artwork and spaces. In the café, pick up an activity sheet for free and find out about how Jim and Helen Ede used to welcome visitors to their dining room in the House. Take it home with you or leave it with a member of staff for us to display! Suitable for all ages. At the information desk, find our free family guide to Kettle’s Yard. 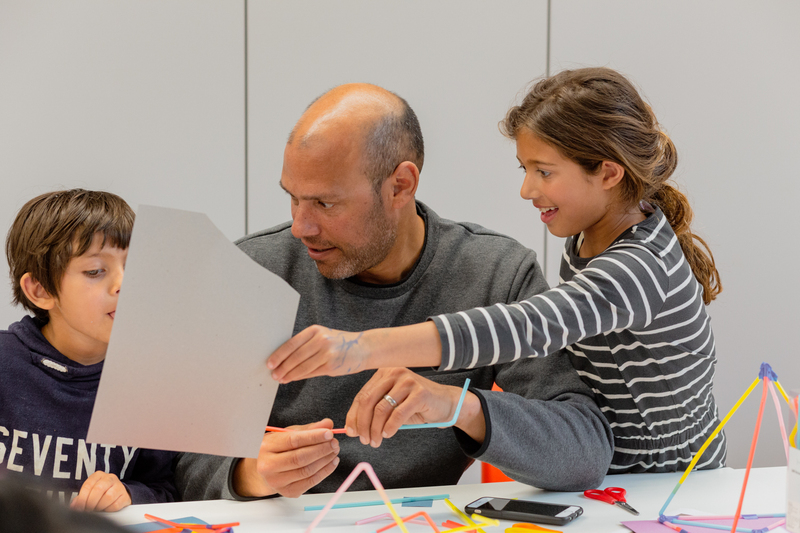 Think outside the box and get new perspectives on art using our fold out family guide. Suitable for all ages. Complete our new Arts Award Discover Activity Booklets to get an Arts Award Certificate in the post. Arts Award is a range of five unique qualifications that support anyone aged 5 to 25 grow as an artist and arts leader. 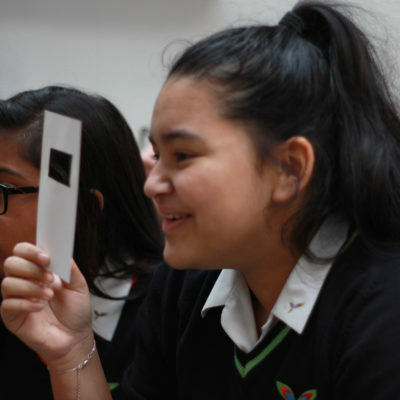 Managed by Trinity College London in association with Arts Council England, the Discover Arts Award is the first award level. To find out more about Arts Award click here. These three fold out booklets on the theme of Light, Nature and Space explores different rooms in the House and asks you to think about curating your own gallery space. Suitable for ages 5 years to 25 years. Pick up an Arts Award Booklet from the information desk. A contribution of £2.50 for each booklet helps us cover the certification costs of Arts Award. 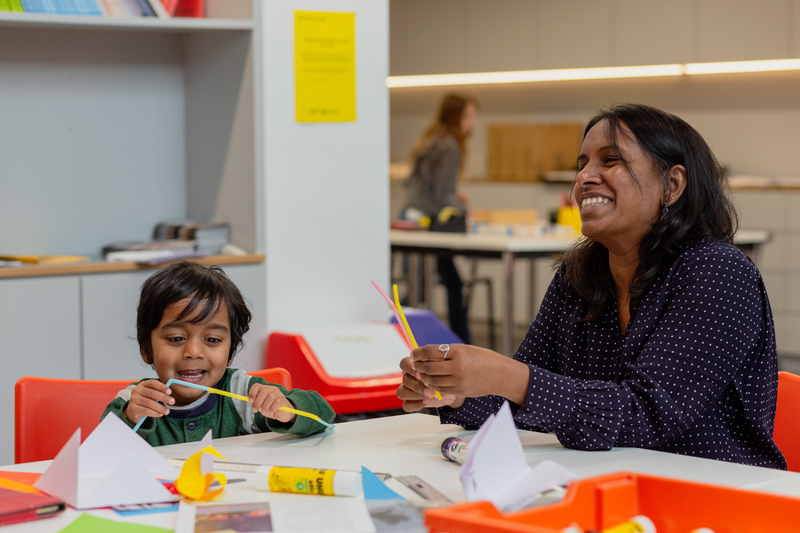 We have regular free Studio Sunday sessions in the Clore Learning Studio along with many more events for families to attend. These are often drop-in with no need to book and are suitable for all ages. Visit our What’s On page to find out more. We have baby changing facilities on the ground and first floors and in the Clore Learning Studio. We recommend that buggies and prams are stored in the space on the ground floor beside the lift, opposite the Clore Learning Studio. Your belongings are left at your own risk. The Clore Learning Studio is located in the basement, -1, and can be accessed by stairs or in the lift. There is an accessible toilet in the Clore Learning Studio. 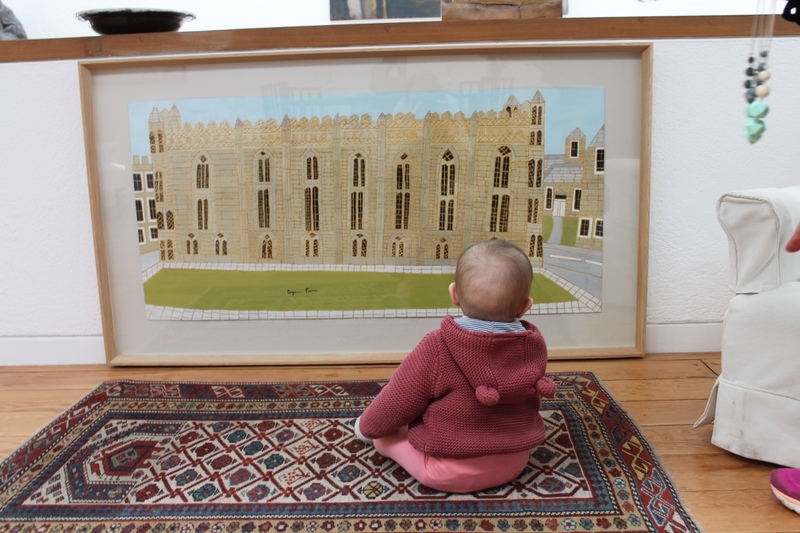 Regrettably we cannot accommodate buggies and prams in the House, but they can be used throughout the galleries and learning spaces. Please feel free to breastfeed wherever you feel comfortable. There are highchairs available in the cafe and the cafe is able to warm up bottles. 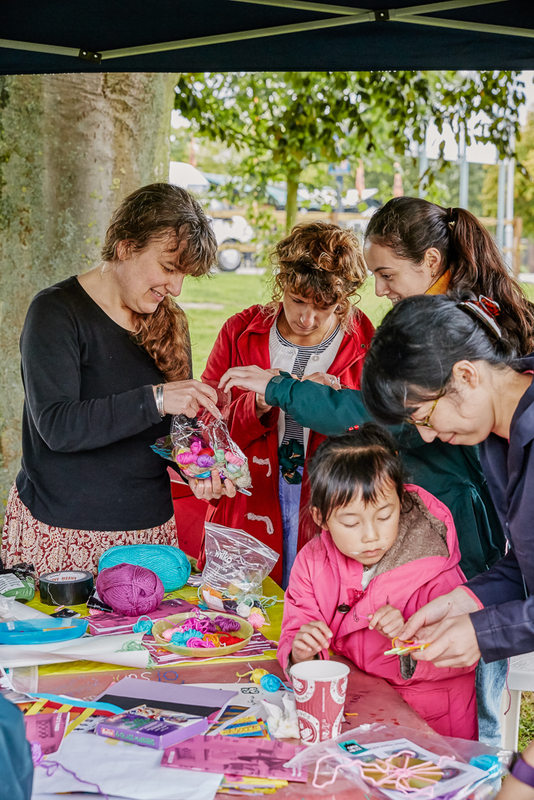 All of our free, drop-in activities are led by artist facilitators and a team of volunteers. We ask that parents and/or carers of children and young people remain with them during these sessions at all times. Find out more about visiting with a school, education group or large group on our group visits page.